It is always great to help your friends in their needs. But what if you get paid for the same? Yes, Portia Partnership Savings Plan brings this fabulous offer to you. 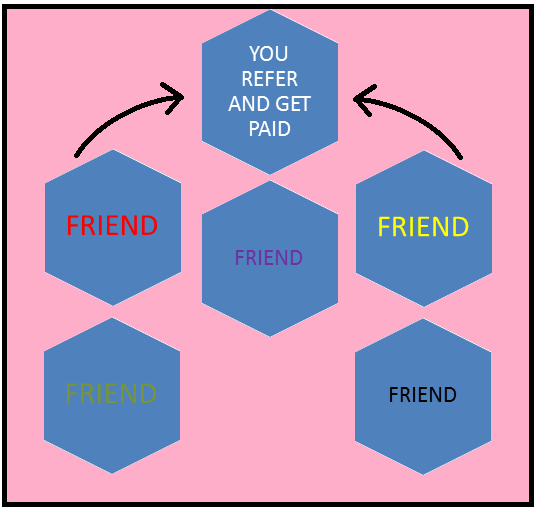 Now you can recommend a friend this scheme and get paid. Portia Partnership Savings Plan is founded and run by Portia Grant. This is the first commercial partner or pardna firm in the UK. This smart pardner savings plan aims to make savings a regular habit for those less fortunate people who belong to the low-income category in this country. Her main aim is to provide a convenient and trustworthy partnership saving scheme to individuals who like to save and spend the money to fulfil various needs of their life. Portia tries to help the members of the plan in several ways. Apart from getting the chance to save and spend smartly they can earn money as a member of various sources. One of these sources is a recommendation. In this process, you need to recommend this plan to your friends, family members, colleagues or any other social contact whom you know personally. Once the person you recommend joins the plan and pays in full then you will get a cash reward. The members can receive the cash for their every successful recommendation. The process of recommending a plan and earn money in return is quite popular in many countries. This is called a network business in which you utilize your networking skill to recommend a certain business plan to an individual and get some money for that. In this case, the plan of partnership saving is highly beneficial for people with low-income. People who have limited access to credit can also choose these plans to save some money and get loans. If you need to get the access of some quick cash in case of emergencies then these plans are perfect for you. Hence, recommending the pardna saving plan of Portia Partnership Savings Plan is something you can recommend to your friends for their benefits. At the same time, the process will let you have some cash for your successful recommendation. So, do not waste your time. Join the club first and then enjoy its benefits. Once you feel lucky to join the same, recommend this good plan to your friends and families and help them to save and earn.